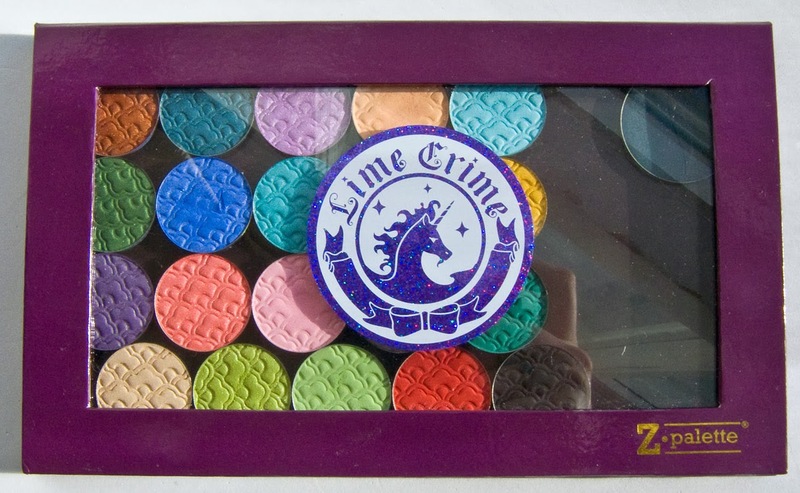 Lime Crime pressed eyeshadow palette retails for $35.00US. It the end of era for Lime Crime as the D's all the current eyeshadows again for something new. 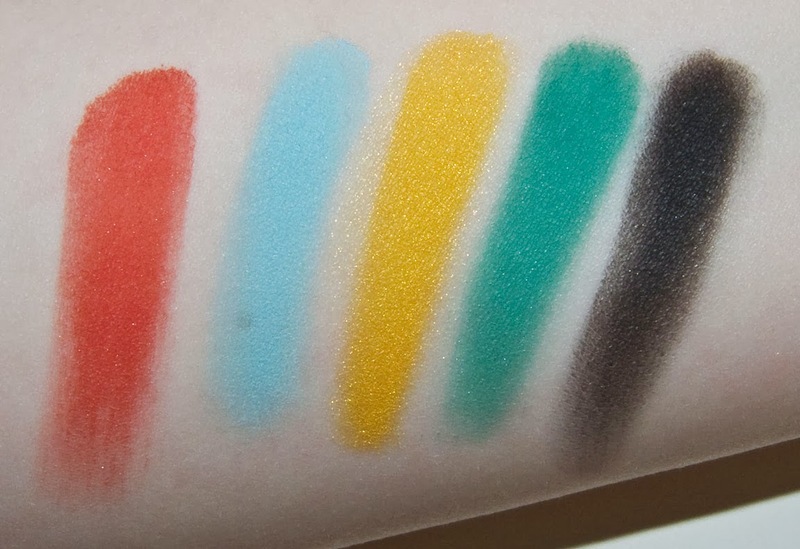 The VENUS: The Grunge Palette which is coming out probably at the end of this month. 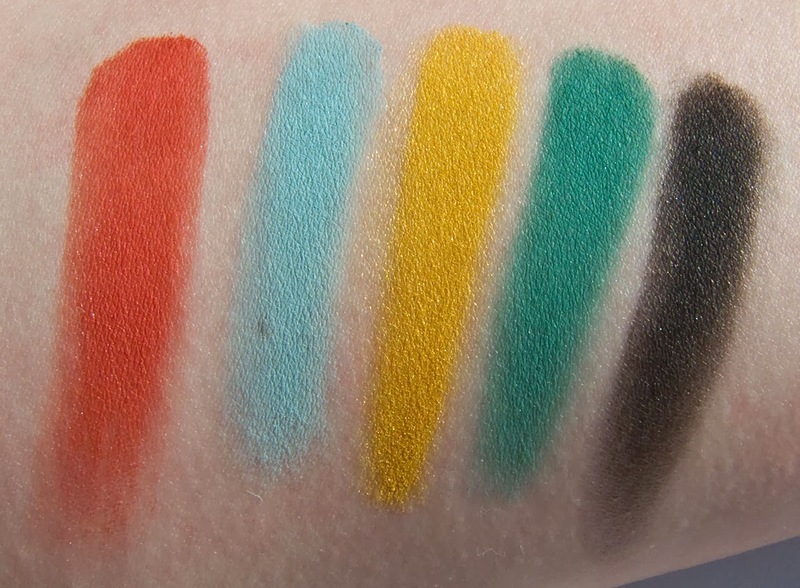 It's also not the first time they got rid of there eyeshadow line but at the very least they did a clearance sale on their remaining stock. 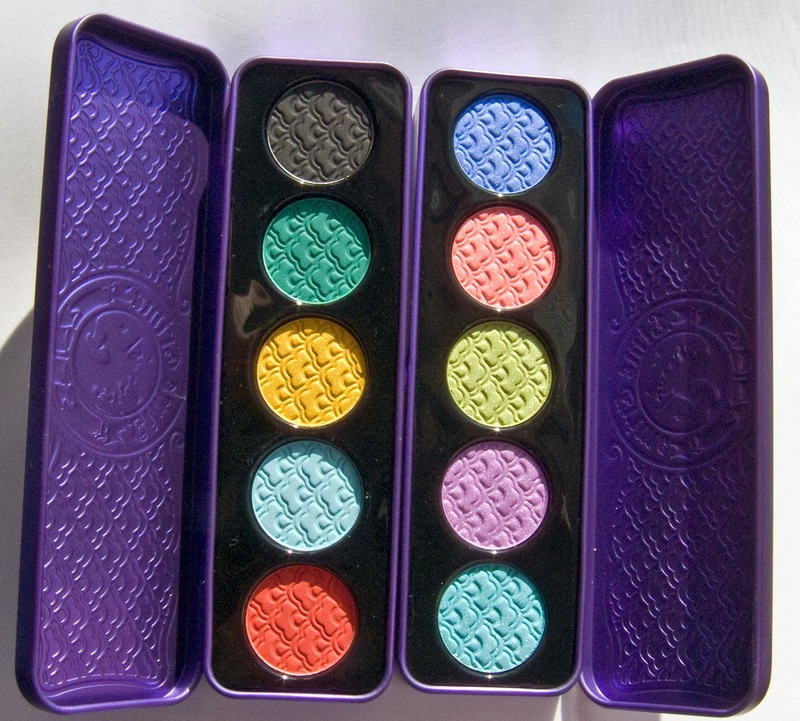 I'm just hoping some of the shade out of these 4 palettes will make it back into the new palette line they have started. 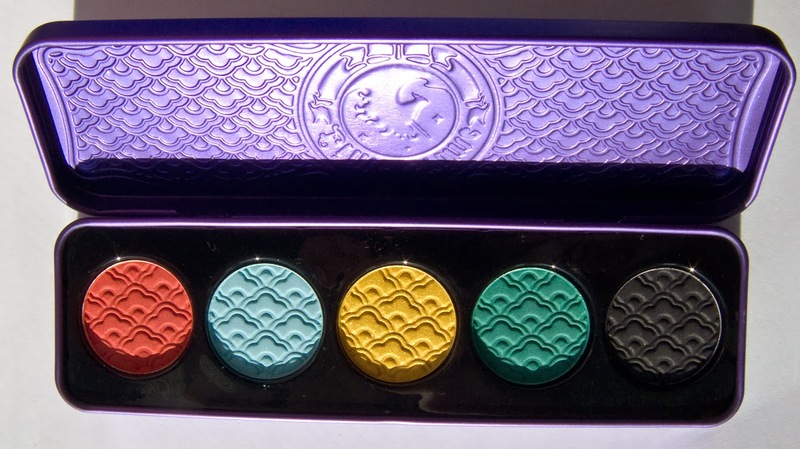 You can see my review on the D'Antoinette and Alchemy palette in the links below. The matte shades in China Doll are all buttery smooth and very pigmented. The shadows are powdery but not too powdery to cause a lot of fall out from the pans. 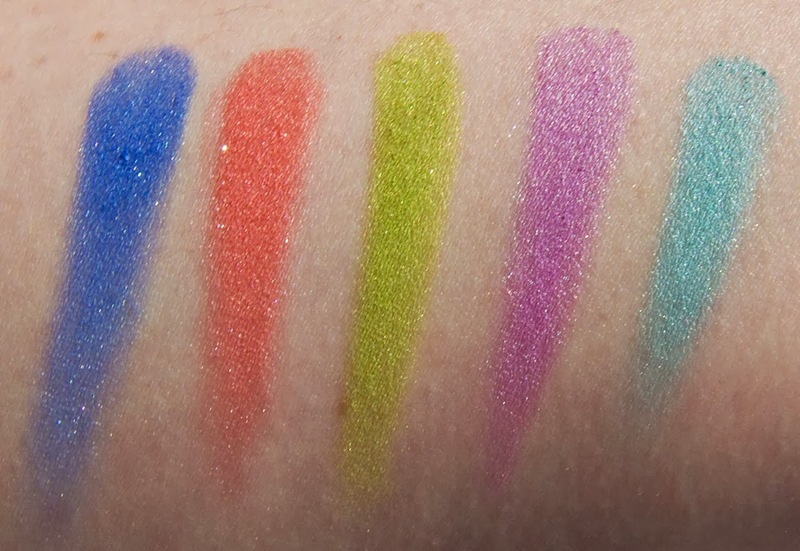 Aquataenia is filled with shimmer shades. 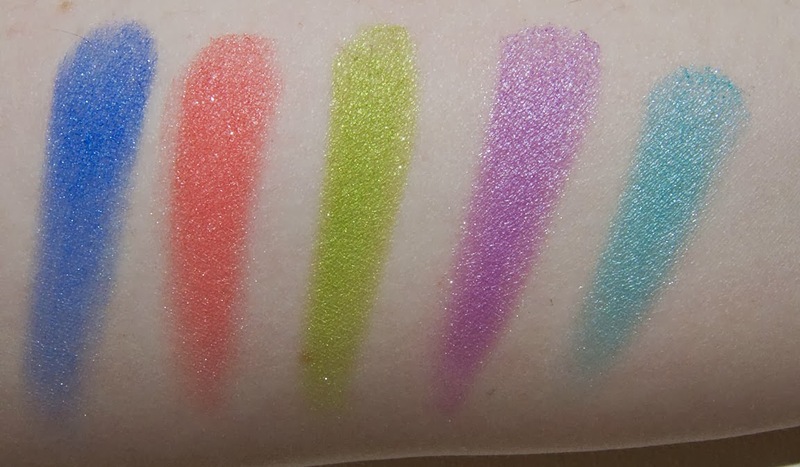 the base texture is more like satin or pearl and are loaded with fine shimmer as well. The texture is also buttery smooth and richly pigmented. Nautilus Prime is a bright cobalt blue with silver shimmer. Coral of the Story is a vivid coral with with silver shimmer. 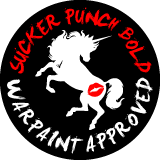 Seahorse Discrourse is a yellow based lime green with silver shimmer. Pearl-Ple is a vivid light lilac with very strong shimmer. Atlanteal is a bright pale turquoise with strong micro shimmer. Fly Dragon Fly is a hot orange based red with a matte finish. Parasol is a pale baby blue with a matte finish. Goldfish is a bright yellow matte finish with pale gold micro shimmer. Jade-o-Lade is a rich mid tone blue based green matte finish with pale silver micro shimmer. Lotus Noir is a deep solid black with a matte finish. Wear: These where 6 hours without a base. Not bad on the eyeshadows. Packaging: Tin pencil box sized case with hinge. 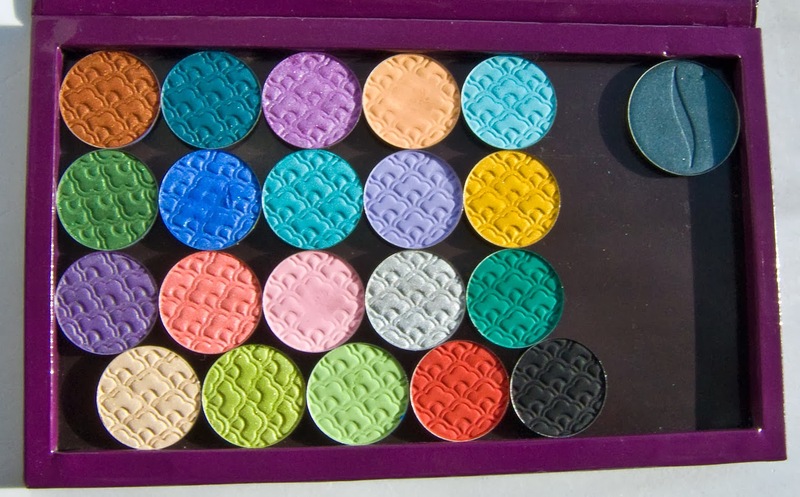 The eyeshadows are housed in a thin black plastic (ridged added for structural support) that can bee popped out easily. Alchemy, Aquataenia, D'Antoinette & ChinaDoll depotted. 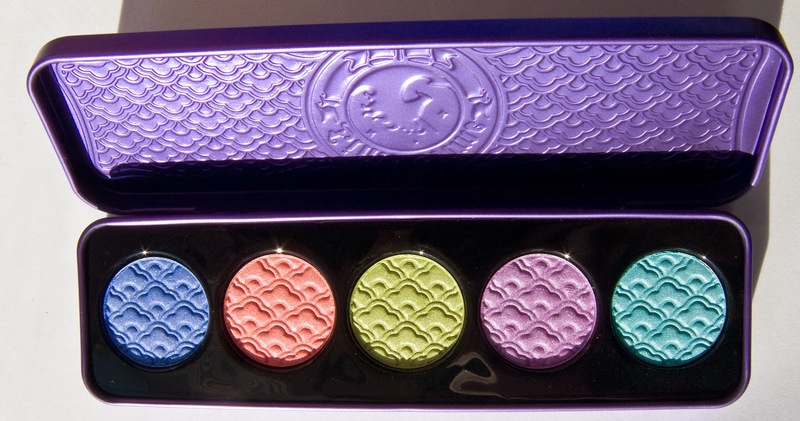 Grab them from Lime Crime retailers before they're gone! What do you bet they are keeping them for clearance on their Black Friday sale! I can totally see that! It be a nice way to do a sign off on them.